Anyone who knows me (or follows me on Twitter) knows I am quite a sentimental dude, always reminiscing about one track or another from back in the day. So when I first stumbled across this record I was actually scared to press play. Lauryn Hill’s Ex-Factor has to go down as one of the seminal neo-soul records. It’s bass-heavy hip-hop beat reminiscent of 36 Chambers Wu-Tang beautifully fused with quintessential neo-soul vibes and all topped with Lauryn’s timeless melancholy tale of relationships past, present and future. Some songs should just never be covered. 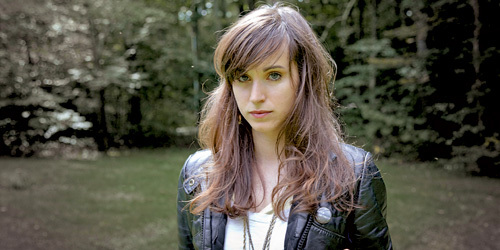 But then again not all singers are Holly Miranda. Her album, The Magicians Private Library, is more than eclectic, its schizophrenic, mixing influences, sounds and textures from everywhere and nowhere then topped off by her Oakwood vocals. For Ex-Factor she took all of that away, thinned it all the way down to just guitar and vocal… and with that she has managed to create a song all of her own. This is by no means a cover version in the X-Factor sense, this is a recreation of one of my all time favourite records. I thought I would be too precious to like this, I remember having to press pause and take a moment before listening to this, the last track on the bonus disc (it took a couple of days)… I’m very glad I did. Below is the version from the Black Cab Sessions. Posted in Song of the WeekTagged Ex-Factor, Folk, Holly Miranda, Lauryn Hill, Neo-Soul, Song of the Week, The Magician's Private Library, The miseducation of...Bookmark the permalink.